Steep Hill – Britain’s Best Street! It may be a strain to climb up some days, but Steep Hill is well loved by many locals – and now it’s been celebrated by winning the Great Street Award 2011. Fighting off competition from Glasgow and Edinburgh, Lincoln’s humble street dates back to Roman times, and was chosen for its essential history and character, along with its broad range of independent vendors and cultural events. The award comes just in time for the Lincoln Christmas Market, which is due to run from 1st – 4th December this year. Steep Hill – Best Street in Britain? If you’re from Lincoln, you’ll know the joys – and strains – of walking up Steep Hill and enjoying the sights of the historic part of the City. Now, Steep Hill could be named as Britain’s Best Street. Most of us have, at some time or another, panted our way up Steep Hill and cursed those around us that are fit enough to take it in their stride. Now, though, we have the excuse of taking it a little slower and enjoying our surroundings as we wander up, as Steep Hill could be awarded the Great Street Award. A finalist of the competition, along with Cockburn Street in Edinburgh and Byres Road in Glasgow, Steep Hill boasts its medieval heritage, cobbled streets and historic buildings as part of its charm. Some parts of the street even date back from Roman times, with many cellars of the buildings either side of Steep Hill originating from the Romans. The Academy of Urbanism will reveal the winner of its Great Street Award in November. Fingers crossed! 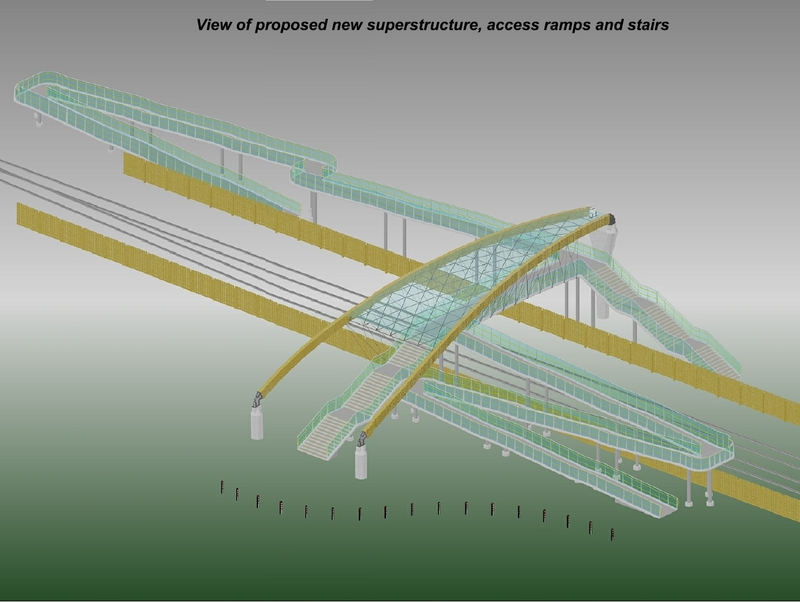 You may not have heard of the CLASP system of building, but you’ve probably seen examples in school yards or railway stations since the 1960s. We take a look at the history of this revolutionary system. CLASP, or the Consortium of Local Authorities Special Programme, was formed in 1957 against the backdrop of World War II to combat the pressing need to build and rebuild, combining and pooling local authority resources. The solution came from the Nottinghamshire county architect, Donald Gibson, who devised a method of building schools using prefabrication, and developed it alongside a number of personnel from the Hertfordshire local authority. A modular system using prefabricated light gauge steel frames allowed a maximum height of four storeys, and could be finished in a variety of claddings, meaning that the end result could be varied according to aesthetic values and circumstance. This system could also withstand subsidence caused by mining due to crucial new techniques developed in the cold rolled steel frame construction, including a pin-jointed frame and vibrating roller base. This led to the system being nicknamed the ‘rock and roll’ system. By combining local authority resources, significant cost reductions could be made through standardising components and serial contracting. A number of education buildings were built using CLASP, including the famous Hunstanton School in Norfolk and much of the University of York, and the scheme was later adopted by British Rail for station facilities, as well as adapted for use in constructing offices and housing. Sadly, traditional CLASP buildings fell out of favour somewhat following the general move away from system building, with critics defining CLASP as ‘collection of loosely assembled steel parts’. However, CLASP still exists today, utilising much more modern methods of system building and making sustainability a key part of the scheme, but the technology behind it has changed so significantly from the 1950s that it has been renamed Scape. Following a successful three-way partnership between ourselves and our two sister companies, Ilex Building Services Ltd and Origin Design Studio, our latest loft conversion project has been completed. 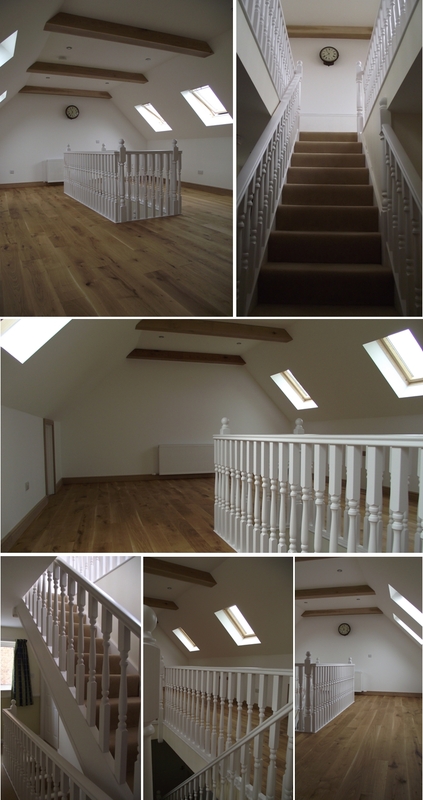 Following architectural services from Origin Design Studio, structural design from ourselves and construction services from Ilex Building Services Ltd, our latest loft conversion project at Welton, Lincolnshire is now complete. Photos are shown below. This project wasn’t a typical loft conversion, and concerns that headroom in the original loft wasn’t sufficient led to the roof literally being raised in order to create more room. Now not only is there more space, but the house has a beautiful light and spacious gallery-style room that has a multitude of uses. If you want to learn more about loft conversions, please give us a no-obligations call on 01522 596910 and speak to one of our engineers. In today’s flat lining market prices for housing, what can you do to give your house the edge before it comes round to selling up and moving on? According to HSBC, loft conversions are the way to go. Following the recent bank holidays that we’ve all enjoyed, you may have taken the time to complete a few projects around the house or decorate a room or two in the hope of battling the recent stagnant housing market and adding a few pounds to your house price. 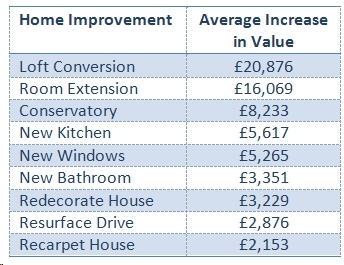 However, you may be looking in the wrong direction – HSBC have just released the results of a new survey of home valuers, and loft conversions have come out on top for adding value to your home. On average, a loft conversion can add £20,800 to your house – and just think of the extra space you can achieve without the hassle of moving! Other projects that prove profitable include room extensions (an average of £16,069), conservatories (an average of £8,233) and new kitchens and bathrooms (an average of £5,617 and £3,351, respectively). The table below shows more details. Please note that PCC Construction Services will be closed on 22nd, 25th and 29th April and 2nd May for the Easter bank holidays and the Royal Wedding, but otherwise will be operating as normal. Need more space, but don’t want to move? Fancy a loft conversion to expand your accommodation? Check out our newest loft conversion project in Barton upon Humber – a PCC design and build collaboration. Loft conversions are the height of fashion in today’s recession-hit times as the cheaper alternative to moving to a bigger property, and here at PCC Construction Services, we can guide you through what can be a daunting process. 4 Sharpe Close in Barton upon Humber was originally a four bedroom property, but two extra rooms are being formed in the loft, creating more space in the house. Whilst the height between the rafters and the floor was not adequate for the conversion in the existing loft, the roof is being raised to provide ample headroom for the project, proving that where there’s a will, there’s a way. Work is currently starting on site, with Ilex Building Services carrying out the construction work, Origin Design Studio having designed the conversion, and PCC Construction Services providing structural design and overseeing the build. In this way, the whole process is being overseen by one central company, easing the process and giving the client peace of mind. If you have a project that you’d like to discuss with us, please give us a ring on 01522 596910. Lincolnshire County Council is giving local residents a chance to vote on a proposed new level crossing footbridge on Southgate in Sleaford, with online voting drawing to a close on 18th March at 5pm. The South East Sleaford Regeneration Route is a new road linking Boston Road with Mareham Lane in the south east of Sleaford town centre. 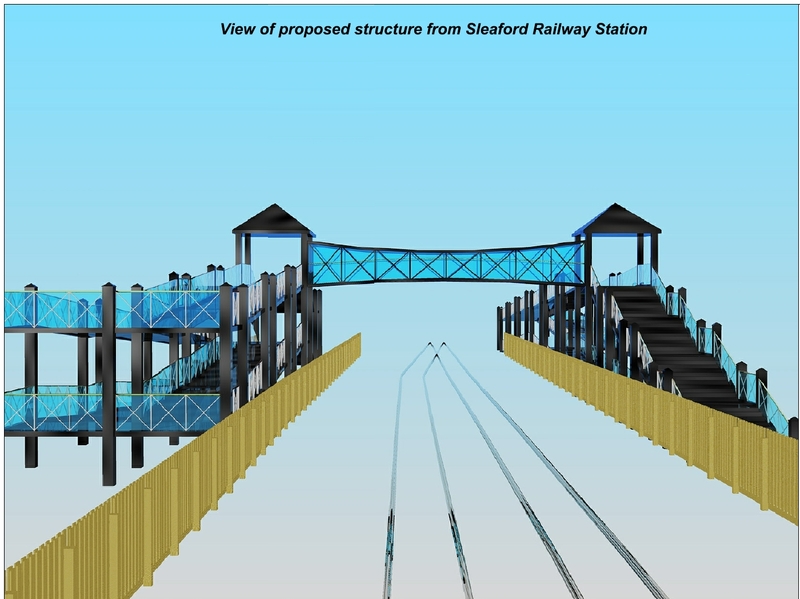 As part of the project, the level crossing on Southgate is to be closed, with a new pedestrian footbridge built to replace it. 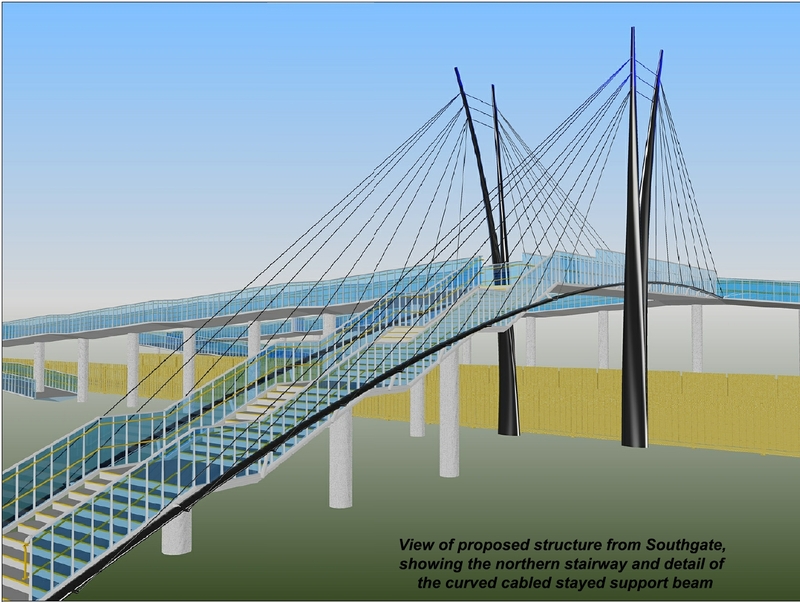 Lincolnshire County Council is putting the design of the bridge to the vote, asking the general public to choose between four different designs and allowing local residents to shape how their town will look in the future. 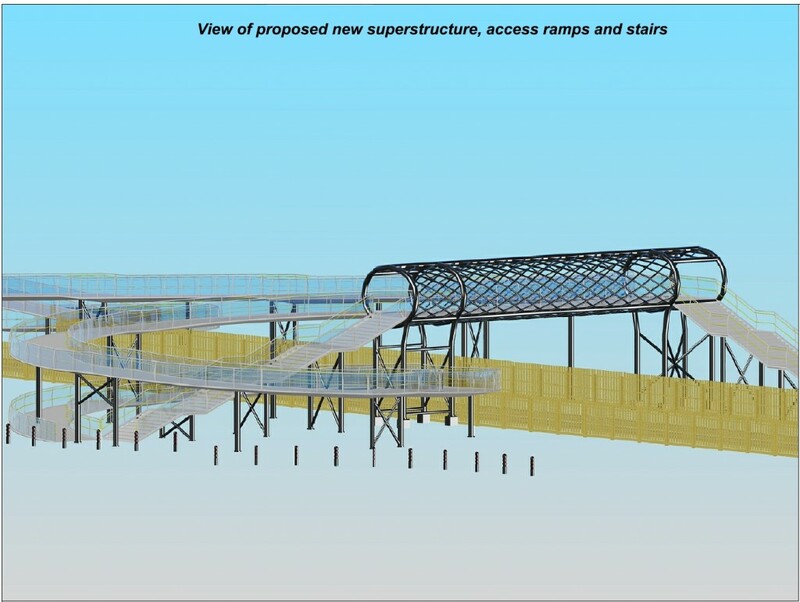 All footbridge options will cater for access by pushchairs, wheelchairs, motobility vehicles and dismounted cyclists in accordance with current regulations. Online voting closes at 5pm on Friday 18th March, so get clicking! From Wednesday 9th March to Friday 11th March, Grimsby tests its town flood defences, emergency drills and evacuation processes as part of Exercise Watermark, an operation taking place across the country. The last major bout of flooding in the county was in 2007, but Grimsby will be staging a flood scenario this week as part of Exercise Watermark, a national operation to check emergency flood responses. Yesterday, in scenes reminiscent of the major flooding in 1953, RNLI members practised rescuing residents from rooftops and a mass evacuation of Sutton-on-Sea was staged, transporting residents to Louth Town Hall. Members of the WRVS, the Red Cross and the local clergy were even involved in offering support and refreshments to the ‘evacuees’, some of which had been given roles to play when they arrived at Louth. It is hoped that not only will the drill be of use to all of the agencies involved, but that it draws attention to the possibility of flooding and the devastation that it can cause. Lincoln Cathedral is undergoing a five year renovation project, during which time the north-west and south-west turrets and statues will be repaired and restored to something resembling their former glory. Further to our blog detailing the history of Lincoln Cathedral, it seems that the Cathedral is undergoing a major renovation during the next few years. Keen-eyed locals and visitors may have spotted scaffolding being put in place around the Cathedral at the moment – it is expected that the scaffold erection will take 16 weeks, after which stonemasons and conservationists will spend two years renovating and repairing the statue of St Hugh of Avon and the south-west turret. Following this, the scaffolding will be moved to the north-west side of the Cathedral, where further works will be done on the turret and the statue of the Swineherd of Stow. The Cathedral currently employs seven stonemasons and carvers in its renovation team, and the stone used for the repairs is Lincoln limestone, quarried from the Cathedral’s own quarry on Riseholme Road. Surveys are taken to produce drawings for the masons to follow, and templates from the original stones are made to aid reconstruction. The newly quarried stone is then worked by hand to an accuracy of 1mm, using the templates and drawings as a guide. When the replacements are finished, the old stones are chopped out and the new stones fixed into place using lime putty mortar. Rich Mann on Steep Hill – Britain’s Best Street!